I am Dr. Reals and wanted to introduce myself as the new doctor at ICT Muscle and Joint Clinic. I am ecstatic to be back home and working with Drs. Keith and Rachel and I thought I would use this opportunity to familiarize those that may not know much about me! I was born in Wichita before moving all around across the country throughout my academic career. 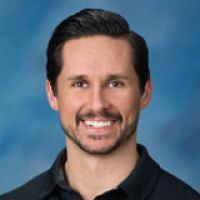 I ended up going to a small Catholic university outside of Philadelphia, DeSales University, pursuing my passion for exercise and fitness by obtaining a Sports and Exercise Science degree. Throughout my experience there, I participated on the track and field team, student government and various exercise-based research projects. When I graduated, I moved back “home” to Wichita, personal training full-time at the South Branch YMCA for over three years. I thoroughly enjoyed this career, and in fact still keep in contact with many of my clients to this day, as well as continue to personal train, but I decided I ultimately had a passion and empathy for the healthcare field and desire to help people in pain; thereby began to attend Cleveland University- Kansas City to pursue the chiropractic profession. The admiration for the patient/doctor relationship probably stems from my close family members that I have looked up to for many years. My grandpa, Dr. William Reals, was the Dean of the KU Medical School here and a nationally renowned pathologist that specialized in aircraft accidents and causalities. My dad, Dr. Tom Reals, currently works at the VA here in town as an internist after working with Via Christi for two decades. Despite choosing a more conservative care approach in my own treatments, I have always looked up to them and their empathy towards their patients. I believe this experience gives me a unique respect for allopathic care, but also a much-needed alternative approach for what I can provide on the other end of the spectrum. I believe, with the rise of the opioid epidemic especially, that there has never been a better time to be a conservative care provider/chiropractor. 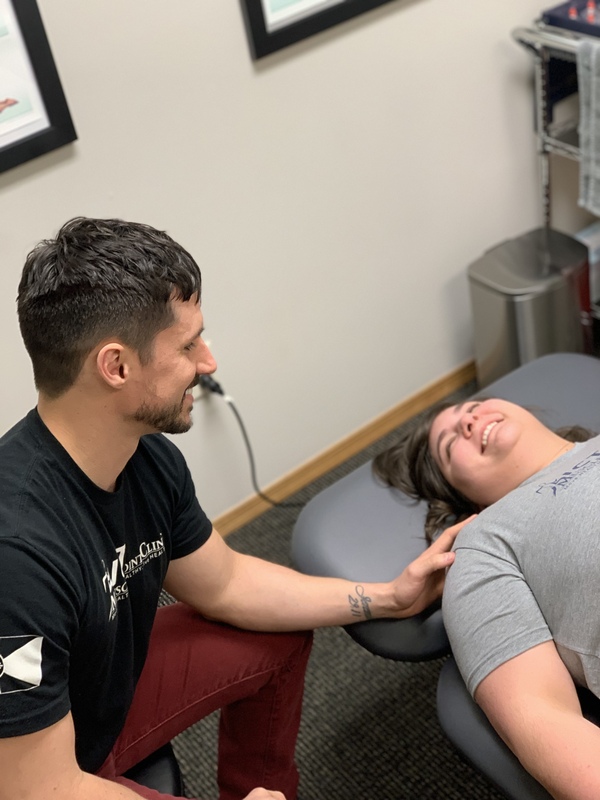 Additionally, our specific and unique treatment approach here at ICT MJC gives us a variety of options to get you out of pain without any dependency; giving you the tools to succeed on your own. Whether that be: dry needling/acupuncture, cupping, taping techniques, manual therapy, DNS, IASTM and other rehabilitation protocols. That is why I feel at home here in Wichita and at ICT MJC...and I am excited to be back! I look up to Keith and Rachel as colleagues, but also as people. I know they will cultivate an environment where we all can succeed with our goals. For me, this is giving you the best care possible, hearing out your concerns/not letting you fall through the healthcare cracks, and improving your overall day upon our visit together. I look forward to meeting you soon, getting you out of pain and promoting daily movement.